Since February 2016 information service our loyal customers on the date of service periodical reverse osmosis filter becomes completely automatic. This will avoid the annoying omissions rare (due to rapidly increasing customer base in 2014-2015). When the time is approaching periodic replacement cartridges, post-filter, mineralizing agent in reverse osmosis filter, the system automatically sends information SMS - messages to the client. 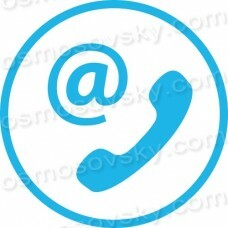 The customer, in turn, a convenient time and convenient way he communicates with us. Define with the customer the time of the work, we make the necessary substitutions, diagnosis and repair, and then we get the pleasure of cooperation. Condition reverse osmosis system, operating conditions, works entered in the electronic passport reverse osmosis filter.